Learn how to build an AstroPi station that gathers temperature, humidity, and barometric pressure sensor data! 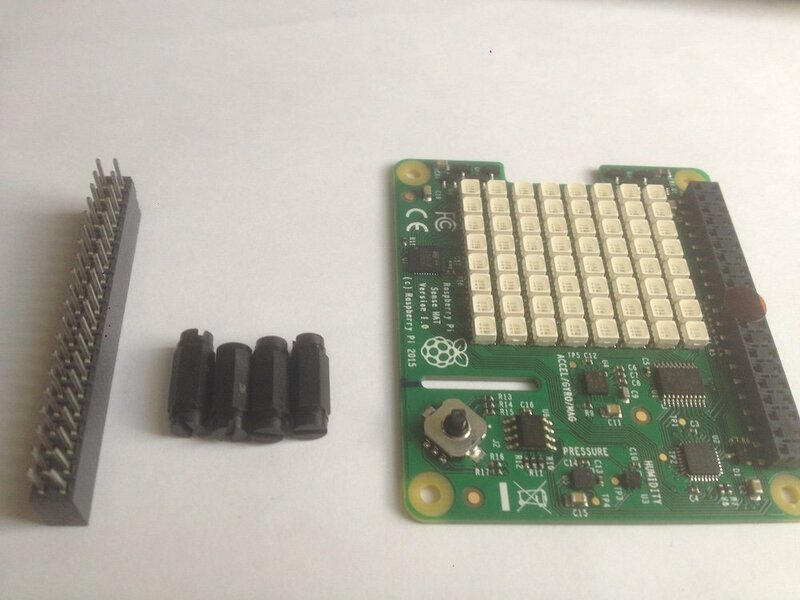 In this article, I will show you how to build an AstroPi station using Raspberry Pi. This is an ongoing project, so I will share what I’ve learned with you. To put it simply, an IoT device, among doing several other things, is a system that is basically capable of collecting data and sending it to the internet, after which the uploaded data will be processed or observed later, depending on the application. 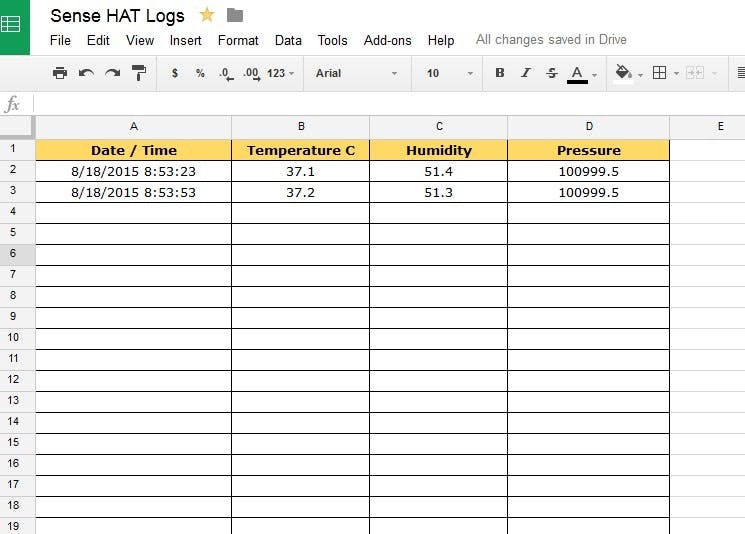 You will also be able to store the data from these sensors in a Google spreadsheet, allowing you to easily view the data of your Sense HAT system from anywhere. 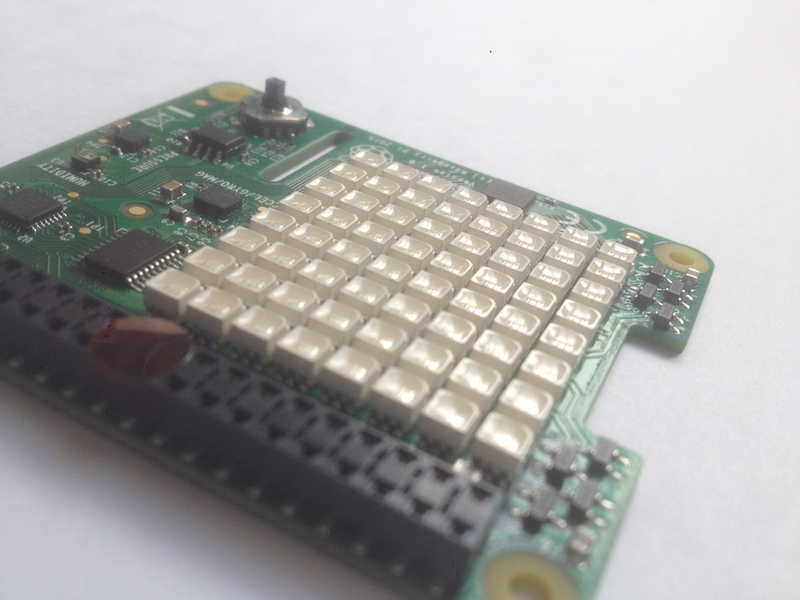 Raspberry Pi's Sense HAT (also known as Astro Pi HAT) is a device or an add-on board that can be attached onto the GPIO pins of a Raspberry Pi. It features onboard accelerometers, magnetometers, gyroscopes, thermometers, barometers, and humidity sensors, all of which pass data back to Pi via I2C communication. In addition to these sensors, it has an 8×8 LED array that can be used to display information and a five-way rocker joystick which can be used for inputting data in Raspberry Pi. Let's get started using it in our project! Now we can start assembling! See the video below for a guide to this process. 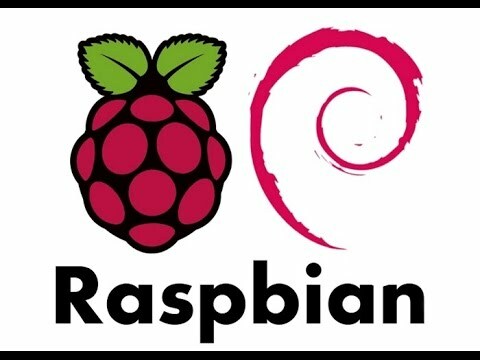 If you don’t know how to install Raspbian in Raspberry Pi, check out How to Install Raspbian on your Raspberry Pi’s SD Card. 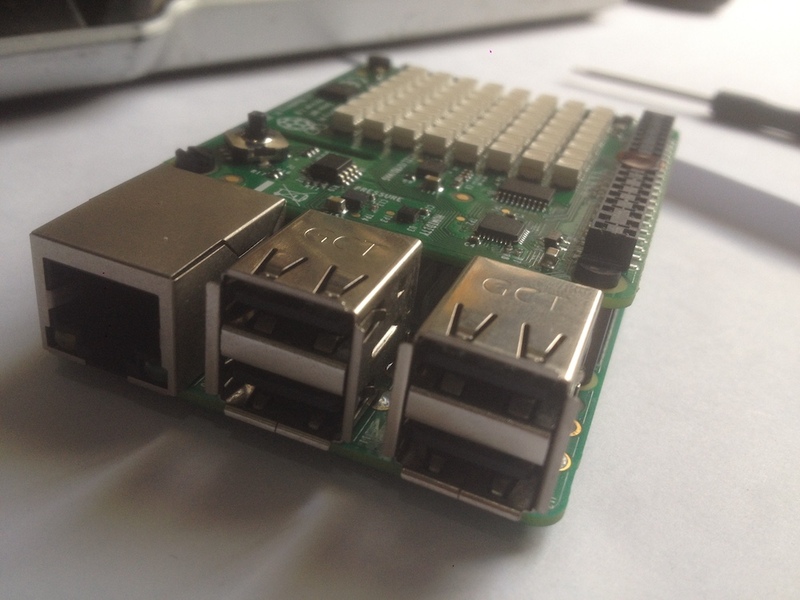 After installing the operating system for Raspberry Pi, install the Sense HAT libraries by opening a terminal window of Linux and entering the following commands below. After installing the libraries, test it by entering the following Python script inside the text editor and saving it as .py file. When you run this program, it will display “Hello world”. 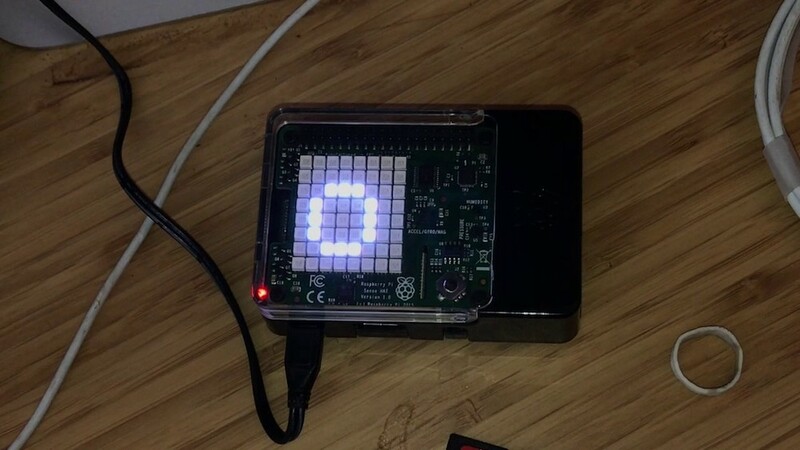 This means your Sense Hat is working fine with your Raspberry Pi. We will use the Python script I wrote to collect the data from all the sensors. 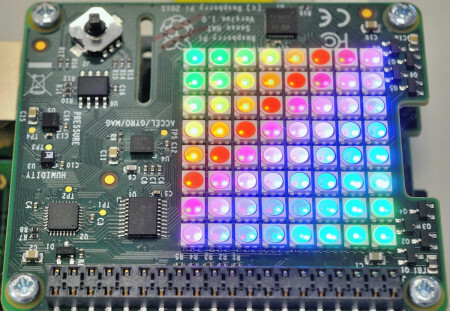 This reader will collect all the information and display it in an 8×8 RGB LED matrix or send it to the internet. You need to store the generated JSON file in the Astro.py folder. 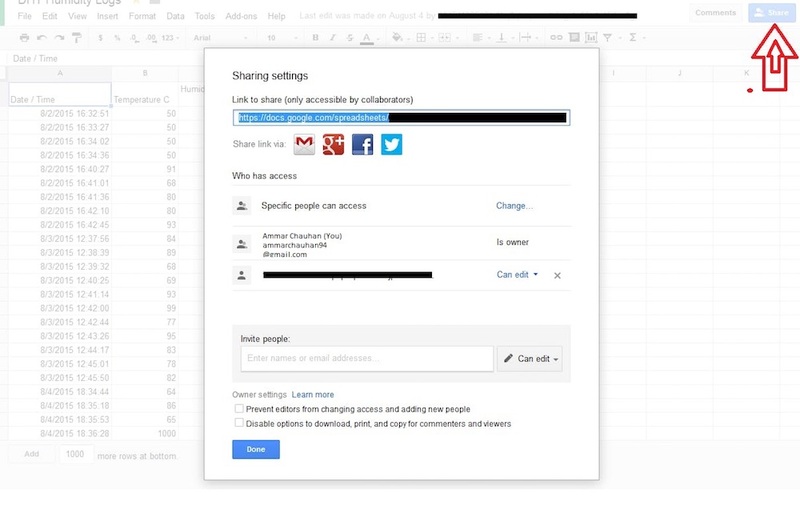 Next, go to File --> Share ... menu item to share a spreadsheet with read and write privileges to the above email address. Please make sure to share your spreadsheet—otherwise, you will not be able to update the script! Congratulations! 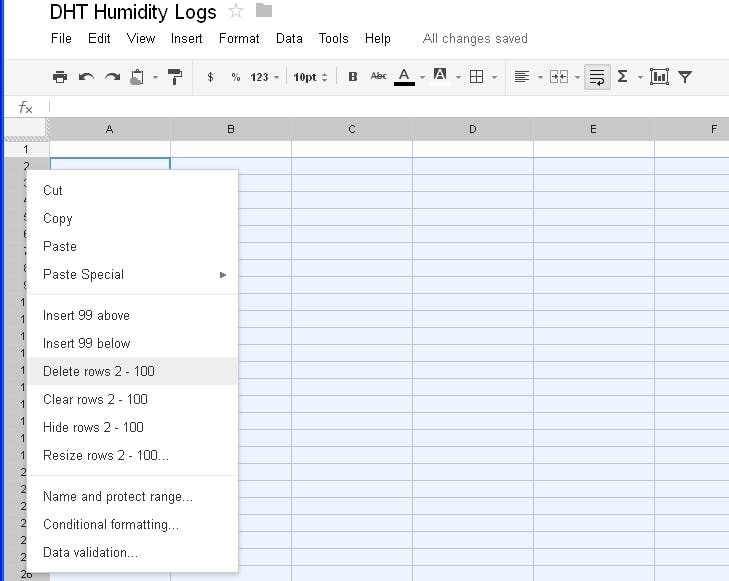 You can now send your data to Google Spreadsheets. If you want to store all your data in Google Drive, you can run it as a service. Thanks for checking out my project! Try forking this article so you can make your own version.